Steven Savile has written for Doctor Who, Torchwood, Primeval, Stargate, Warhammer, Slaine, Fireborn, Pathfinder, Arkham Horror, Risen, and other popular game and comic worlds. His novels have been published in eight languages to date, including the Italian bestseller L’eridita. 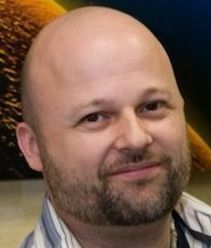 He won the International Media Association of Tie-In Writers award for his Primeval novel, Shadow Of The Jaguar, published by Titan, in 2010, and he inaugural Lifeboat to the Stars award for Tau Ceti (co-authored with Kevin J. Anderson), and writing as Matt Langley was a finalist for the People’s Book Prize in the United Kingdom. Silver, his debut thriller reached #2 in the Amazon UK charts in the summer of 2011 and was among the UK’s top thirty best-selling novels of 2011, according to the Bookseller. The series continues in Crucible, Solomon’s Seal, WarGod, Lucifer’s Machine, Shining Ones and Argo, published by Snowbooks, and is available in a variety of languages. His latest novels include Parallel Lines, a bank heist novel, Glass Town and Coldfall Wood, mythological fantasy novels from St Martin’s Press, and he is currently working on Lost Heroes, a roleplaying campaign in the incredibly popular Trudvang world of Draken & Demoner, published by RiotMinds in his native Sweden. He has lived in Sweden for the last twenty years. *The Zack Company represents Mr. Savile only for those works published by Crazy 8 Press.